Belinda has worked in the healthcare industry for over 30 years. Initially as a exercise instructor /personal trainer and then graduating onto to training as a sports massage therapist is San Diego , California. She has worked with a wealth of different athletes and sports teams including the Great Britain Triathlon Squad and the Tour de France. After a number of years building up a very successful sports massage clinic a The Marlow Club, she decided to take her passion and train as a McTimoney Chiropractor. Belinda graduated from the McTimoney Chiropractic College in Oxford in 1996. As a result of her own experiences she has a keen interest in educating and inspiring patients to take responsibility in their own health and well being thus allowing patients to discover the body’s amazing capability to heal itself. Belinda is registered with the General Chiropractic Council (The UK’s governing body for chiropractic) and is a member of the McTimoney Chiropractic Association. In her free time Belinda enjoys all sports including running, hill walking and mountain biking and competes regularly in Adventure Races up and down the country. She is also a keen hill walker and is gradually ticking off all of the Wainwrights in the Lake District. Belinda has also successfully completed the UK Three Peaks Challenge and summited both Kilmanajaro and Mont Blanc. If you are unsure whether Chiropractic is for you, then please come for a free 15 minute consultation where we can discuss the reason for your visit, do a spine check and explain how chiropractic might be able to help you. To book you free consultation please call Belinda on 07768 633039. 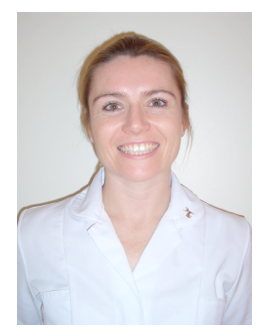 Joanna graduated as a McTimoney Chiropractor in 2004 and in 2012 as a Physiotherapist from Southampton University. She has worked in various private practices since graduating and is passionate about her work. Joanna enjoys treating patients from all walks of life, from sports injuries to the elderly. In addition to using the McTimoney technique, Joanna uses mobilisations, exercises and tissue work when necessary to help restore the patient back to function as quickly as possible. Prior to Joanna becoming a Chiropractor, she worked in the Health and Fitness industry teaching classes and personal training. Joanna enjoys working in this environment and is delighted to have recently joined the team at the Marlow Chiropractic Clinic. Joanna is registered with the General Chiropractic Council and a member of the McTimoney Chiropractic Association.